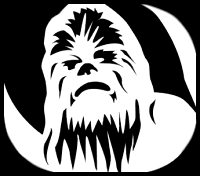 On vacation we stayed in a cabin-like lodge, although we were in more plush surroundings, the idea of this week’s guild, based upon the Wookiee traditions of the hunt, entered my thoughts. A dimly lit room filled with some of the galaxy’s toughest and deadliest bounty hunters. 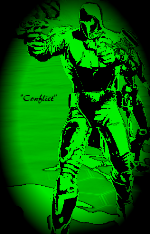 They are ready to do whatever needs to be done in order to complete a contract, but these particular bounty hunters live by a code of the hunt established by the Wookiees. 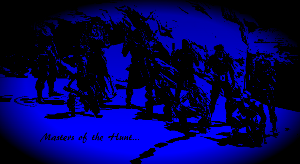 We get to meet this guild of hunters known as the Masters of the Hunt. I had the great chance to interview their guildmaster Synriss. From her we will learn more about the guild and their RP philosophy. How did the guild get started for SWTOR? How long has the guild been around? Well, I started the guild more or less right after I created my character Synriss, so you could say that she was really the motivation for starting it. I sort of broadly formed the guild based upon her back story about 3 months back, in late July. Since then, the guild has grown to about 35 members and our concept has continued to be refined. I’m very excited about what the future holds for us, from both a story and participation standpoint. What server and faction are associated with Masters of the Hunt guild? We’re currently located on the Ebon Hawk server (East coast US), on the Imperial side. However, from an IC (in character) standpoint, we’re more like consultants to the Empire than allies. We actually have lots of illicit activity going on IC under their nose. The Masters of the Hunt is an RP guild correct? How did the guild decide to get into RP and how has the guild found SWTOR, as far as accommodating for RP? I had RP-ed for several months before creating Synriss, so when I did, that translated into making an RP guild. Speaking from my own slightly inexperienced perspective, I’ve really enjoyed the RP aspect of SWTOR, and am fairly excited to see the ever-increasing updates with RP-related emotes. As I say though, I’m inexperienced in this field. SWTOR is my first MMORPG, but from what I’ve heard through guild-mates (and the grapevine), it’s got a great system in place. I do wish that you there was a proper sitting emote, and perhaps one for leaning against walls, but that’s it. In researching your guild, I found the backstory very compelling. Where did the idea come from and can you share some of the backstory with us? Of course, I have found a lot of the bounty hunting guilds in SWTOR tend to stick to a lot of the same premises. There are tons of Mandalorian guilds, and as a result, the class becomes oversimplified…lots of Mandalorians brandishing and bar brawls. It limits where the class can go. The main premise that our guild builds from is the idea of big game hunting. Much like a hunting lodge, we seek out the toughest creatures and bring them down for sport, profit, and other, more intimate reasons. To enrich the experience, I conceived of canonical origins that are just as rich as the Mandalorian ones, but less common – we were founded by the Wookiees. As a species, they have a history of hunting in their Shadowlands, and a lot of their traditions and customs are used in our guild for everything from initiations, to pre-hunt chants. It really adds to the experience I think, having history to draw upon. Now besides the backstory, your guild focuses on a specific class correct? If so what is that class and how has it been to run groups, events etc. using just that class? Well, it’s already been mostly answered, but we focus specifically on the bounty hunter class. Though it has been difficult at times, recruiting not only from one class, but an already limited number of quality RP-ers as well, we’ve done quite well for ourselves. Because everyone shares the same class story, gear, and even specializations, there’s a heightened sense of intimacy amongst the group. Beyond that, we’re all knowledgeable about our classes, which make advising other guild-mates a lot easier. Most RP guilds host events to bring people together and have some fun. What type of events does your guild host? Can others on the server join in on your events or are they just for the guild? We have several different kinds of events that we’ve held, with still more in the works. But one that is very specific to the guild would be IC (in character) world boss hunts. As a guild, we’ll go take down several world bosses, using the size of the opponent to create an RP environment that you can’t find in a cantina. The best part is that all levels can go – we have several fully-geared 55’s who keep the aggro of the enemies, allowing us time to communicate mid-fight. That would be one of our more exclusive types of events. Another one that we’ve done would be social RP events, either on Nar Shaddaa, or the fleet (usually in the Ziost Shadow cantina) where we come together and just interact. These are great for building casual relationships with other members who you might not be familiar with. I’ve found that these are the best for brokering comfort between characters. Lastly, we’ve got underworld RP events. These can take many forms, but I like them for the rather illicit element that they have. Basically, I’ll create a premise which involves fencing goods to or interacting with an NPC or guild allies. There is a pace of sorts to these events, where we will conceive various objectives to be fulfilled, and then we carry them out. The more people you have, the more fun these are. What has been your favorite experience you have had in-game with the guild? BioWare just gave us Oricon in Update 2.4, I can take a guess, but what planet is the Masters of the Hunt guild hoping to be introduced into the game? Why that planet specifically? Well, you probably guessed it, Jason. Given our back story, the Wookiee homeworld of Kashyyyk being added to the game would create a whole new level of immersion and material for us to draw upon. It wouldn’t be a stretch either, given that it was in the first KOTOR. I’m sure the Rakatan origins could be expanded on (by Bioware) for some new purpose, and it’d be great if they could introduce the Wookiee species at the same time. I think there’s been more than a little clamoring for it to be added. I would love it, myself. Speaking of Update 2.4, how did the guild feel about this latest patch to the game? Are there any specific things the guild liked best or maybe some things needed improvement? Considering how recently it was released, I don’t know that we’ve all had a chance to experience all the facets of this patch yet. But I do know that the inclusion of dye modules in lore gear was very much appreciated by several members in the guild, me included. I haven’t tried out the PVP arenas yet, but I’ve heard some mixed feedback from guild members. I guess only time will tell. It’s nice that the game continues to make strides forward, and hasn’t become stagnant. It lets me know that Bioware is invested in the game, and that means longevity for our guild. Do Masters of the Hunt have any events currently planned or just finished this past week? What has been the best guild event to date for the guild? We actually just finished a social RP on Thursday, 10/3 and had a guild hunt Saturday, 10/5. We’re still working towards becoming completely established, so it’s hard to have events that coincide with everyone’s schedule. So, I try to schedule two per week, and hope that everyone can make it to at least one of them. Event-wise, I don’t know that I can speak for the rest of the guild. But, -my- favorite ever event was one that happened very early on in our creation. Given that we were even smaller back then, it was just me and three other players. And basically, we wandered into a heroic area, very much intent on completing the quest OOC. But at some point early on, one of us broke into character and from that point through the rest of the mission, we exchanged what was easily some of the best RP I’ve been a part of, to date. Environmental RP’s add such great ambiance for IC interaction, which it’s much more fun to strike up a conversation in the jungle or the dunes than it is to stand at the bar, watching people dance on the counter. Are there any RP tips or advice you can give us? Is it correct you came across something to help players to speak in alien languages? Does the guild use this to RP certain things? Are the Masters of the Hunt currently accepting any new members to join them on the galactic hunt? What is the best way for players to get in touch with the guild for more information? We ARE currently recruiting, and the best way to join would be through our website. Again, we’re Bounty hunter only, and looking for a diverse group to share our RP’s with. Anyone who’s comfortable with RP and is interested should definitely give us a shout. For those seeking further information, I can be contacted via PM on my enjin account, Thesleepyhuntress, or contacted via whisper or mail in-game. Again, the character’s name is Synriss. Would you recommend Masters of the Hunt guild to other players? I want to thank all the members of the Masters of the Hunt for letting us learn more about their guild. 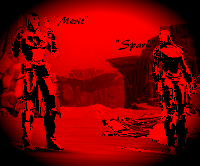 Special thanks to their guild leader Synriss for all her time an effort to let us know more about their Bounty Hunter based guild. If you are looking for a role-play guild on the Ebon Hawk server I would suggest you talk to the members in Masters of the Hunt and also go check out their website. That’s it for this week’s Community Checkpoint. Would you like to have your guild, event or server group highlighted on Corellian Run Radio? All you need to do is submit your guild’s website and some basic information in an email to us at, jason@corellianrun.com or corellianrun@gmail.com. You could be who we highlight next here at Corellian Run Radio. Tactical Strike: Meta-strategies in Arenas Episode 105: OMG Real Space Combat!